Learning to ride a bike and enjoying the freedom that brings is a quintessential childhood experience. To help making riding as fun and as easy as possible, we stock only safe, reputable and lightweight brands including Frog Bikes, Giant, Whyte and Ridgeback who make both girls bikes and boys bikes in a variety of colours and styles. 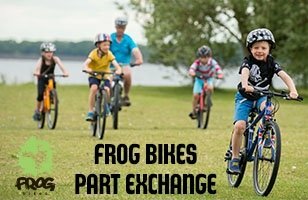 For young children, our Frog balance bikes (bikes without pedals to help with vital balance, braking and steering skills), are a popular choice. When children move on to pedal bikes, you can choose from our range of 10 to 26 inch bikes to suit children from around three right up to teenagers. 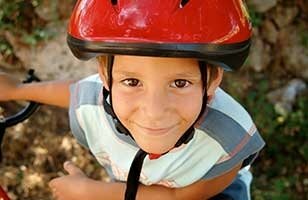 Read our kids bike sizing guide to help you find the best size or pop in store for expert advice and fitting. Don’t forget all our bikes come fully assembled and safety checked to make sure they’re ready to ride. 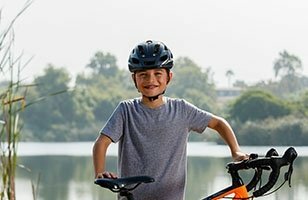 Plus, every kids bike (and adult ones too!) is eligible for a free six week check to make sure it stays in tip-top condition.